This is a 1942 ad for a Rover Cars! The size of the ad is approximately 4.5x11inches. 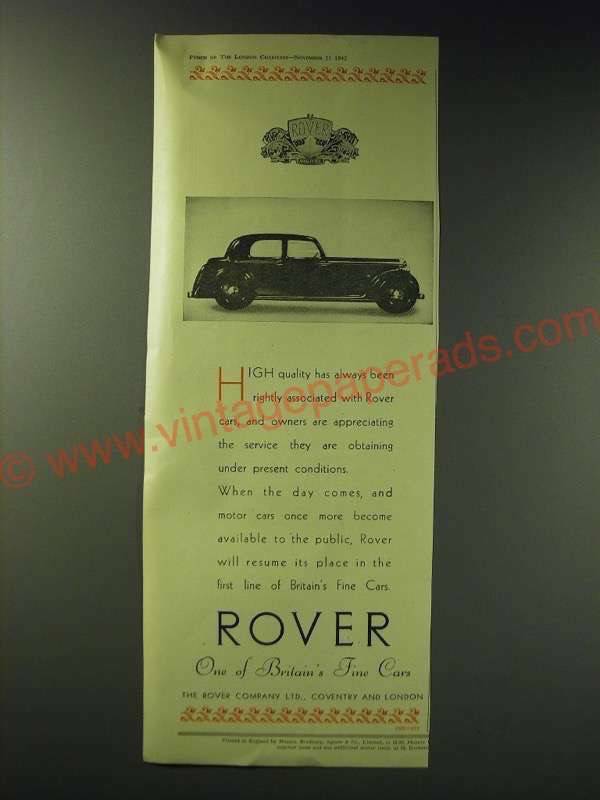 The caption for this ad is 'High quality has always been rightly associated with Rover cars, and owners are appreciating the service they are obtaining under present conditions' The ad is in good overall condition, with some light wear. This vintage ad would look great framed and displayed! Add it to your collection today!